Coenzyme Q10 (CoQ10) has become one of the most popular and well-researched supplements in the US, and for good reason – it’s used for energy production by every cell in your body, and is therefore vital for good health, high-energy levels, longevity, and general quality of life. But while it can be beneficial for virtually everyone, especially if you’re seeking to combat the natural aging process, it’s absolutely vital for those taking a statin drug. One in every four Americans over 45 is on a statin, and every single one of these individuals needs to be taking CoQ10 to replenish that which is depleted by the drug. 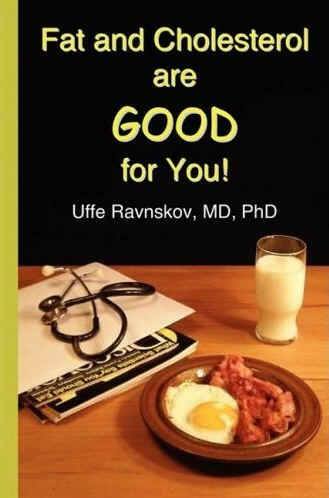 CoQ10 can also help protect your body from free radical damage. What you might not be aware of however, is that there are two forms of CoQ10, and the better, far more effective alternative is its reduced form, called ubiquinol. Ubiquinol is the form your body actually uses to achieve its benefits. Substantial research shows that if you are over 25, this reduced form is superior for your health in a number of ways. I personally take ubiquinol every day for its superior bioavailability and far-ranging health benefits. If you’re under 25 years old, your body is capable of converting CoQ10 to the reduced form fairly well and the additional expense of purchasing the reduced form is unnecessary. However, if you’re older, your body becomes increasingly challenged to convert the oxidized CoQ10 to ubiquinol. 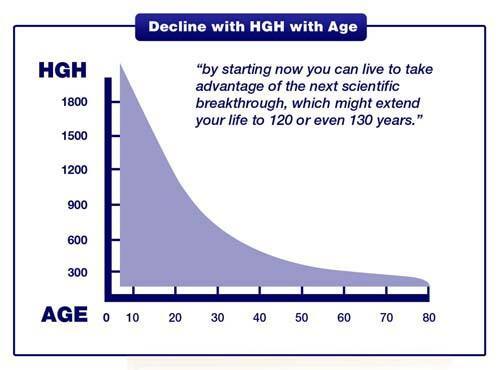 It occurred to me in the interview that the age was really similar to the decrease in growth hormone and Dr. Barry agreed that its reduction most likely follows a similar age related graph, so I’ve included the age reduction graph for growth hormone below. If you’re over 40, I would strongly recommend taking ubiquinol instead of CoQ10 as it’s far more effectively absorbed by your body. In every study conducted so far, ubiquinol has been shown to be far more bioavailable than the non-reduced form (CoQ10). Ubiquinol is a critical component of cellular respiration and production of ATP. When you consider that your heart is the most energy-demanding organ in your body, you can surmise how potentially devastating it can be to deplete your body’s main source of cellular energy! So while one of statins’ claims to fame is to ward off heart disease, you’re actually increasing your risk when you deplete your body of CoQ10. Hence, if you’re on a statin, you MUST take supplemental CoQ10 – ideally in the form of ubiquinol – to counteract the damage being inflicted by the drug itself. The other part most people don’t realize is that CoQ10 and ubiquinol are lipid-soluble materials biosynthesized in your blood. The carrier is the blood lipidcholesterol. The ubiquinol actually keeps your LDL (often referred to as the “bad” cholesterol) reduced, as it’s an exceptionally potent antioxidant. There’s reason to believe ubiquinol could actually be a superior alternative to statins to control cholesterol and protect against heart disease. Unfortunately, it may take a while before anyone will admit its therapeutic powers. This is because it would have to be proven in formal clinical trials, and then you could be assured of a fight by the pharmaceutical companies. Lipitor alone is responsible for nearly one-fifth of Pfizer’s annual revenue! Ubiquinol could not produce such profits, and Big Pharma would surely not surrender a cash cow as statins to a simple supplement without making a huge fuss. Still, there’s highly compelling evidence to consider ubiquinol, whether you’re taking a statin drug or not – and perhaps even in lieu of one. Again, ubiquinol is a critical component for the production of energy in every aerobic cellular system, and if you take that away, you considerably compromise mitochondrial function. This affects more than just your heart. In addition to cardiovascular disease, mitochondrial dysfunction has become increasingly recognized as being directly associated with the aging process itself, including many age-related diseases. Many anti-aging experts believe optimizing your mitochondria is one of the most powerful strategies you can have to extend your life, and there is certainly overwhelming animal studies that support this view. Ubiquinol is also important for cellular protection. As mentioned earlier, ubiquinol is one of the strongest lipid-soluble antioxidants known that is produced within your own body. A number of studies published over the past decade have shown that our oxidative state significantly rises with age, even in healthy individuals. Metabolism is a complex affair, and there are few if any magic bullets to address the degeneration that comes with aging. That said, one very important component of that is ubiquinol, as it’s required for the production of cellular energy, and serves an important role in cellular protection. Ubiquinol is also being studied for a number of other chronic and even genetic diseases such as Down Syndrome. A hallmark of Down Syndrome is a high oxidative state. Studies conducted at a children’s hospital in Cincinnati found that ubiquinol was able to bring 80 percent of children with Down’s back to normal oxidative levels within a month or so. This did not occur with conventional CoQ10, nor any other therapeutic antioxidant supplements. A common concern by producers of ubiquinol, scientists, and consumers alike, is whether or not supplementing with ubiquinol may negatively affect your body’s own production of it. Fortunately, several studies have shown that this is not the case. Even at very high levels of ubiquinol – upwards of thousands of milligrams a day for a considerable period of time – natural production has remained unaffected. The safety profile for ubiquinol is enviable indeed. Even at very large doses, no adverse effects or drug interactions have ever been found or reported. These considerations – its profound, well-documented health benefits, along with its safety profile – makes supplementing with ubiquinol a no-brainer. Clearly, diet and exercise are the cornerstones of optimal health, but there’s overwhelming evidence that ubiquinol can go a long way toward optimizing energy levels, quality of life, and longevity, even if you eat right and stay fit. In fact, one of the most dramatic benefits of ubiquinol lies in its potential to slow down the aging process. This is what motivated me to start taking ubiquinol personally. In a previous interview with Dr. Barry, he recounted one particularly powerful example of ubiquinol’s anti-aging effects. Specially-bred mice that age very rapidly were used to test CoQ10 and ubiquinol against a control group that did not receive supplementation. At the end of the study, when the mice were the equivalent age of 90 to 100 in human years, the differences between the control group and the ubiquinol groups were dramatic. While the control mice were near death, the ubiquinol mice ran around like teenage mice, and the only difference during their entire lifespan was taking ubiquinol. “What we found is that, in just about every study that has been conducted with ubiquinol (and each one is necessarily a direct comparison to coenzyme Q10), there is a very dramatic metabolic and physiological effect seen with ubiquinol that you don’t necessarily see with conventional coenzyme Q10. That study convinced me that there was something different going on with ubiquinol,” Dr. Barry says. Needless to say, this may have profound implications for humans as well. Again, if you’re on a statin drug, you MUST take at least 100-200 mg of ubiquinol or CoQ10 per day. If you’re not on a statin drug, the amount of CoQ10 or ubiquinol you might need depends on how sick you are. The sicker you are, the more you need. According to Dr. Barry, if you don’t take any form of CoQ10 at all and you’re just starting out with ubiquinol, start with 200-300 milligrams a day. Within a two- to three-week period your plasma levels will typically plateau to its optimum level. After that, you can go down to a 100 mg/day maintenance dose per day. This dose is typically sufficient for healthy people. If you have an active lifestyle, exercise a lot, or are under a lot of stress due to your job or “life” in general, you may want to increase your dose to 200-300 mg/day.